Jacqueline's creativity flows the whole year through, and there are so many more ideas waiting to be explored. The tables in her studio are often covered by sketches of new designs. And they are all awesome. 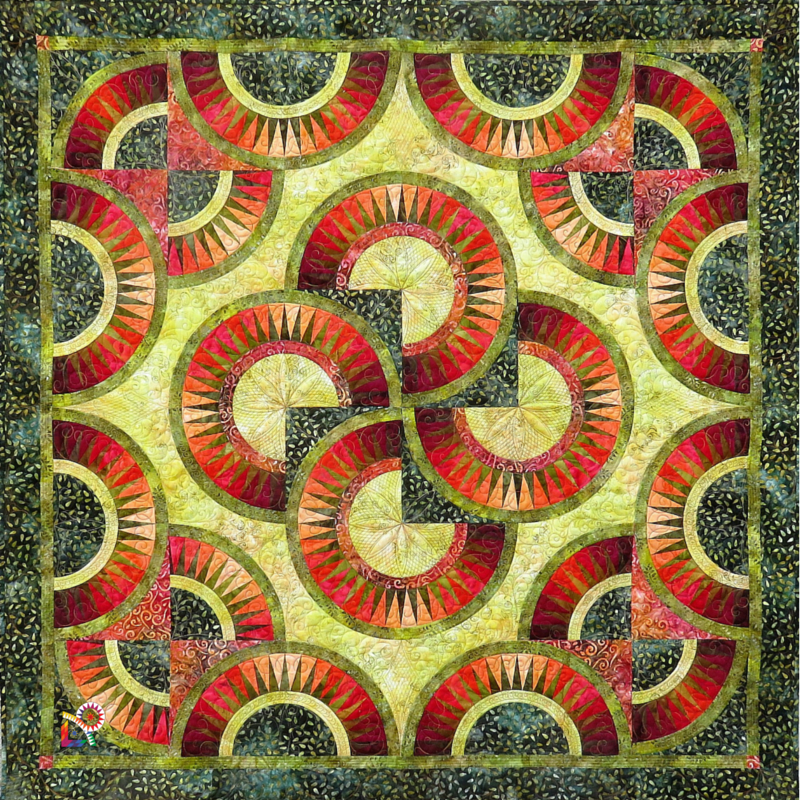 And now, with all the gorgeous fabrics of Jacqueline's own batik line from Anthology Fabrics/Windham Fabrics there are even more challenges to make new inspiring designs. The colors are all so pretty and exciting to work with and they have this whole new flow about them. We're sure Jacqueline will be turn all these beautiful batiks into amazing designs. Every year Jacqueline takes one of the 'old' designs to redesign it in a new one. And this years favorite is "Fly Away". 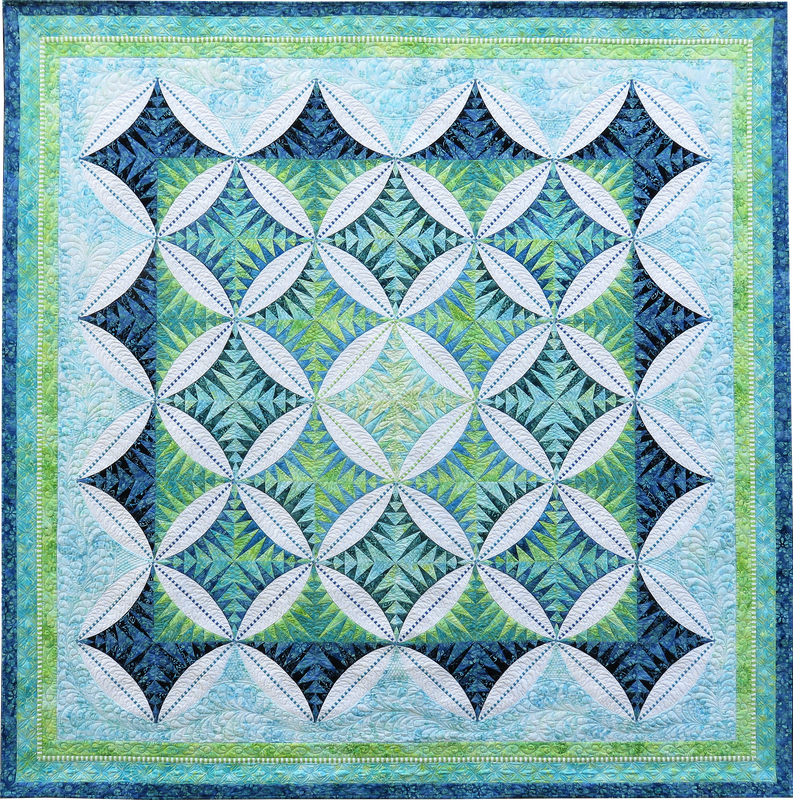 Fly Away was the inspiration for this beautiful quilt and she was one of our most favorite patterns. The first edition was designed for the Hoffman Challenge in 2011 and Jacqueline won second place pieced with that beauty. 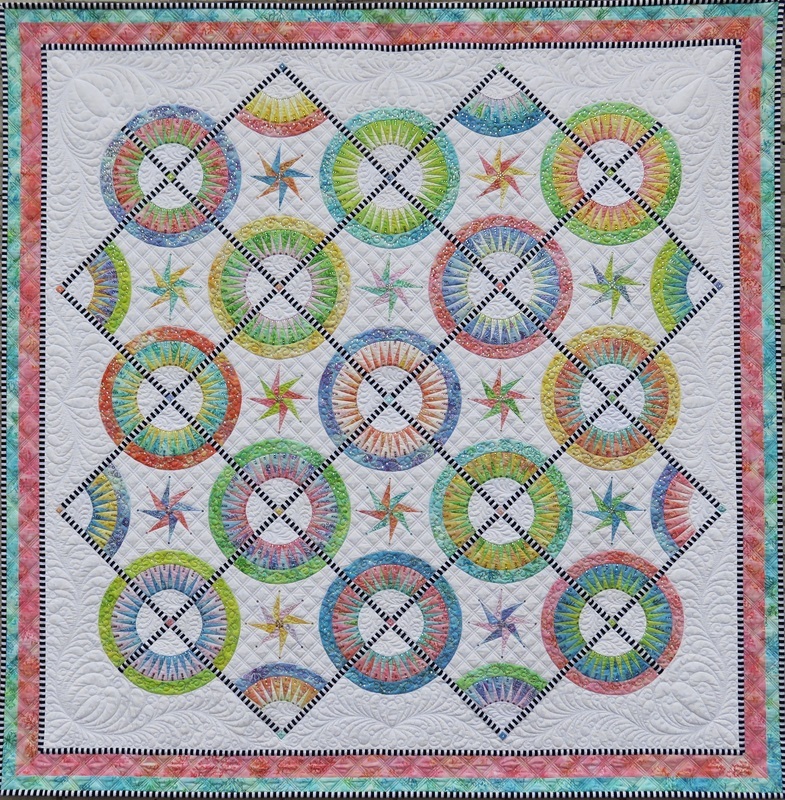 The pattern was so successful that Jacqueline decided to re-design the original Fly Away into this glorious new quilt. The fabrics Jacqueline uses for this beauty are from her own batik collection by Anthology Fabrics. 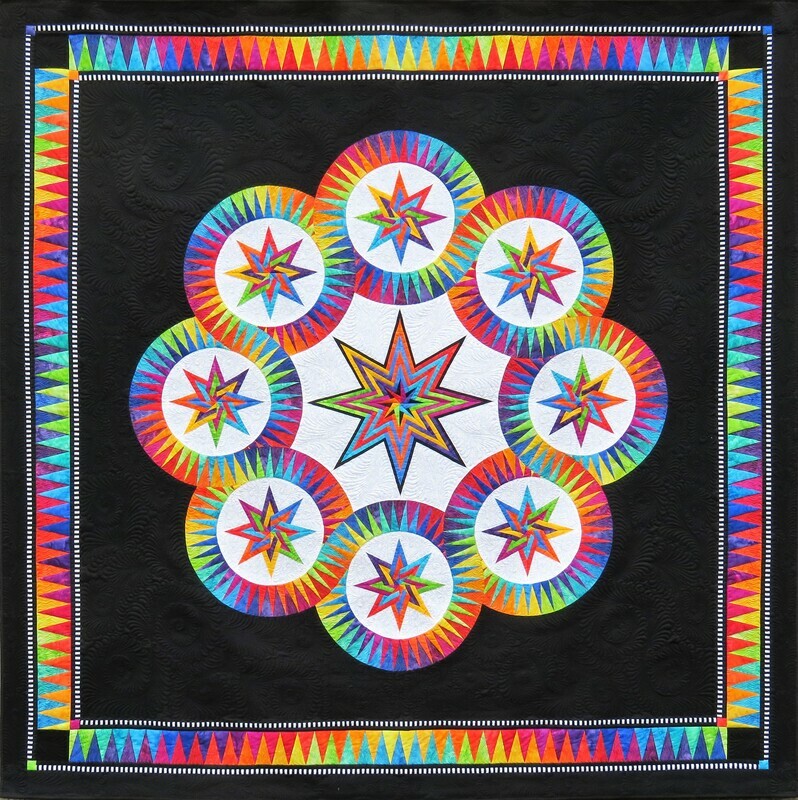 The stunning quilt work in "Dream Flight" is done by Cindy Glancy, a very talented longarm quilter and a delightful lady to work with. 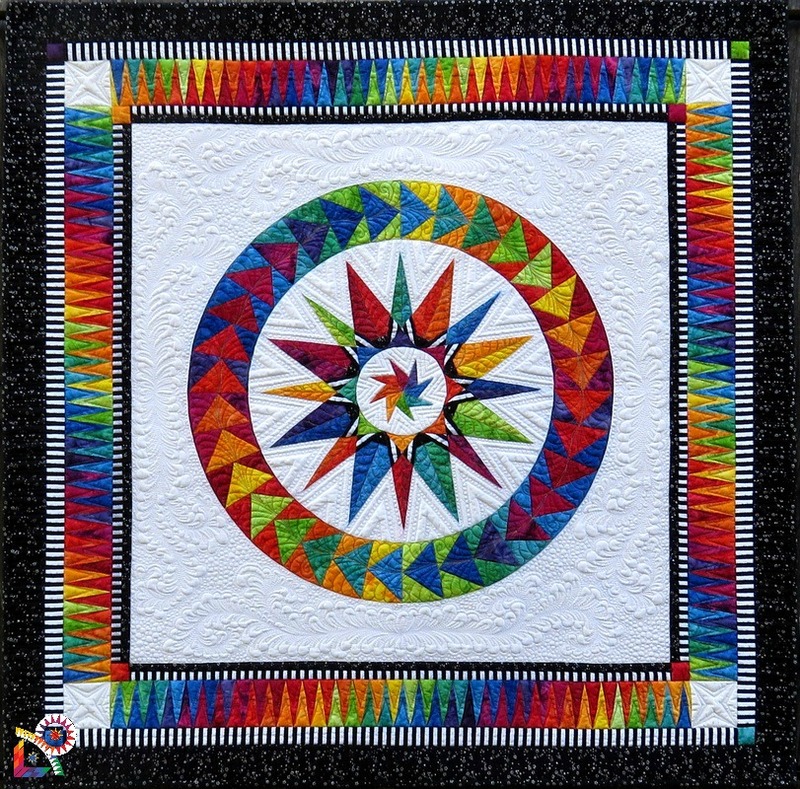 We choose this pattern for our exciting new Block of the Month for 2019. Don't let the 5* scares you of! We'll guide through this glorious pattern step by step. 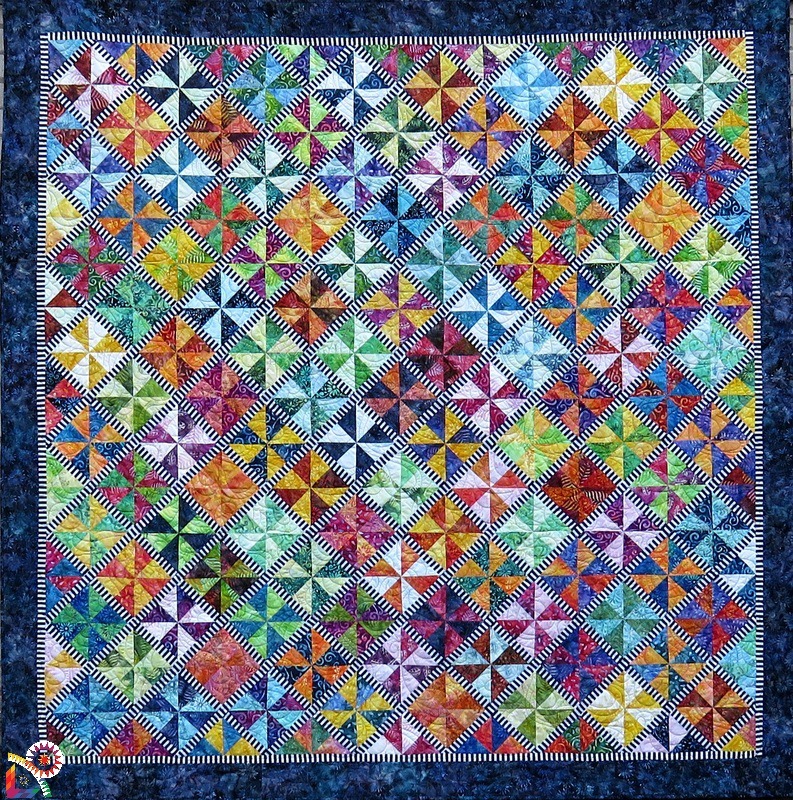 And with a supporting new Facebook group, specially for "Dream Flight" you will enjoy making this fabulous quilt. ​New York Beauties and beautiful flying geese in a glorious setting of fabulous colors. 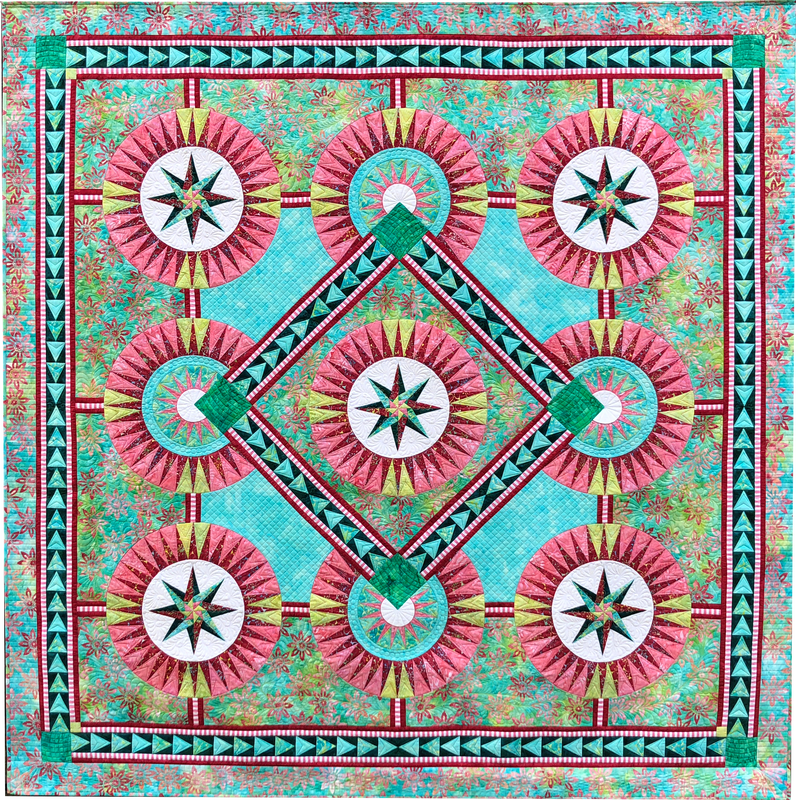 Inspired by the background fabric in pink, red, aqua and a touch of green, Jacqueline designed this beauty around those glorious colors. The result is a delight. The beautiful touch of the new striped fabric in a gorgeous pink, is a joy to look at. 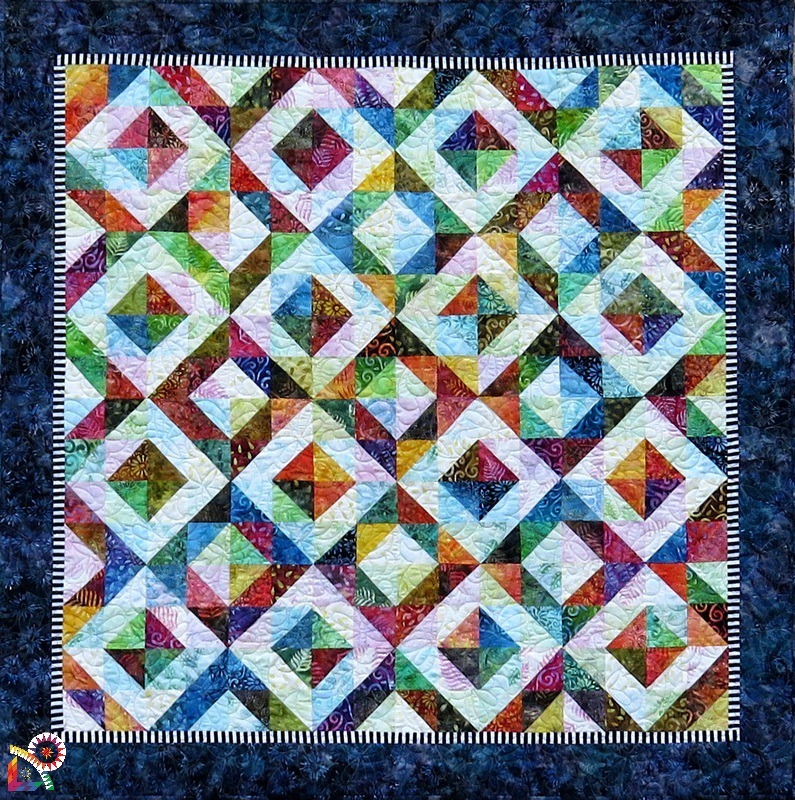 "Miss Rosie" is quilted by Lynda Jackson from Capricorn Quilting, Sheffield, UK. 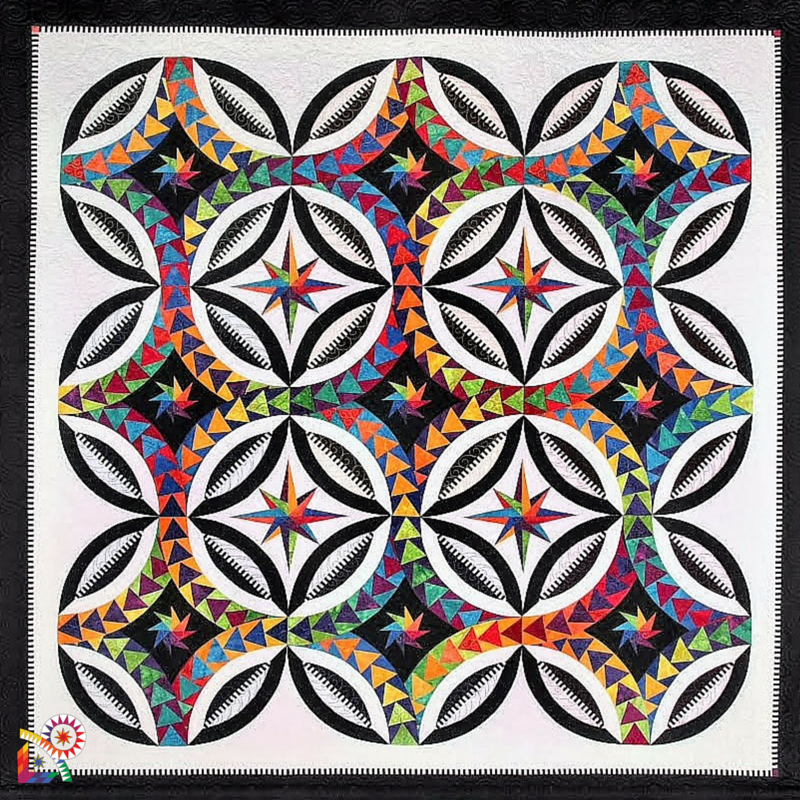 Lynda is a very talented lady and she's an inspiring longarm quilter. 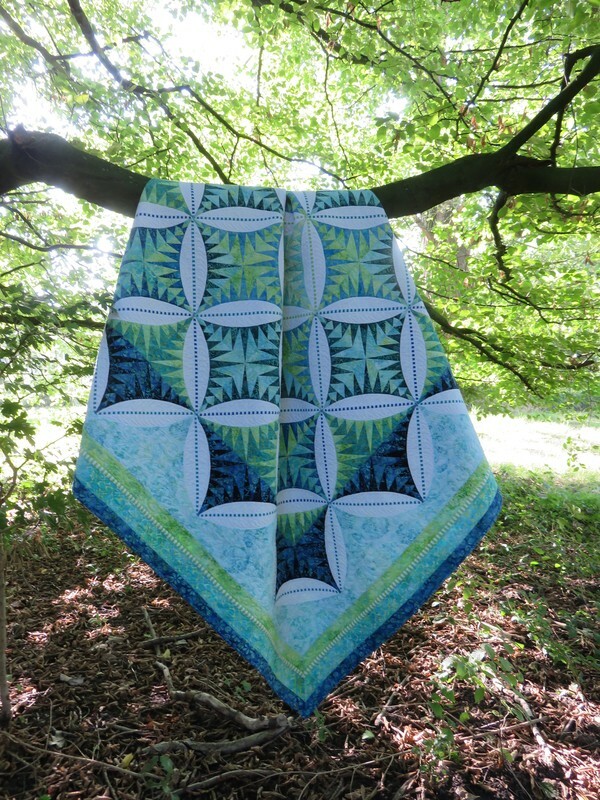 A trip to Bali inspired Jacqueline to design this fabulous quilt. We went on an island excursion and passed so many stunning views. And somewhere along the tour we passed a beautiful display which was the example for this design. 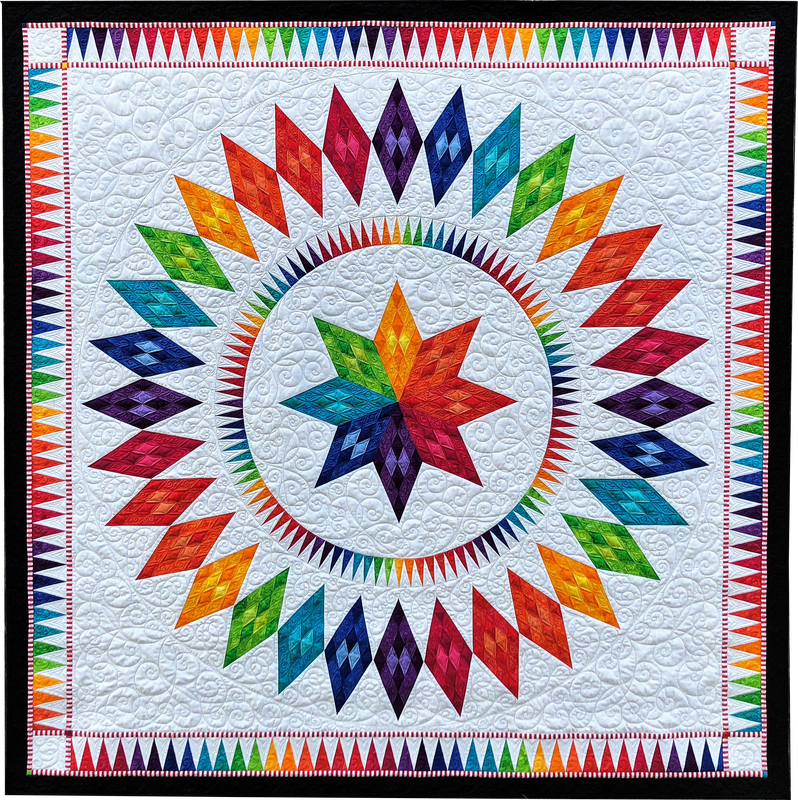 In the amazing quilt Jacqueline uses her favorite Rainbow collection with a little more pizazz from some additional colors. The result is breathtaking. The traditional Lone Star is the heart of this design, complimented with a circle of spikes in the same colors. 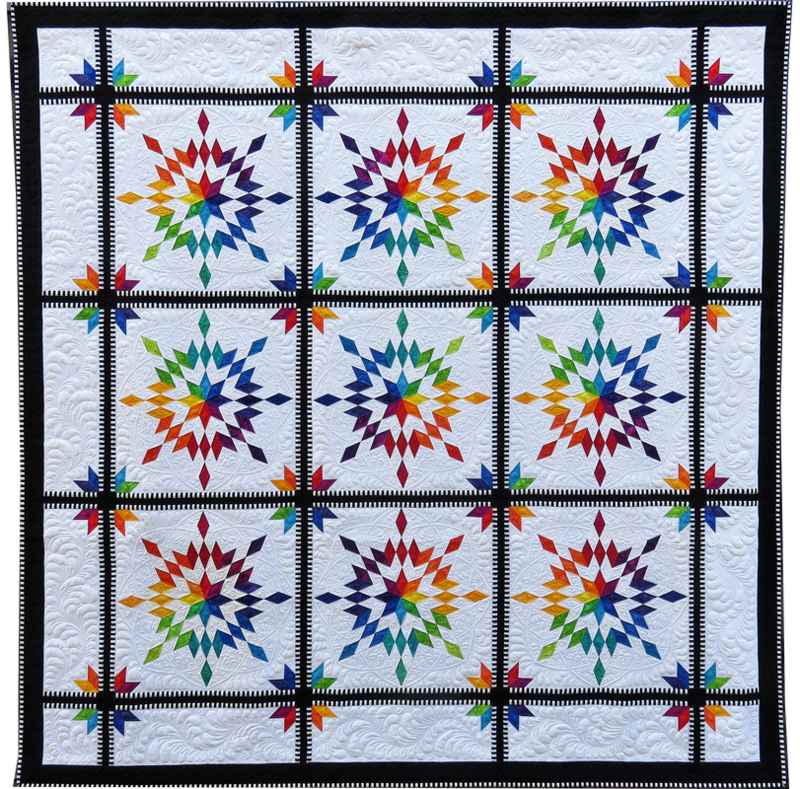 Topped with Lone Star points in the beautiful rainbow colors this quilts needs nothing more than a vibrant border of brilliant spikes. And with one of the new striped fabrics, red this time, this beauty is ready for your wall. 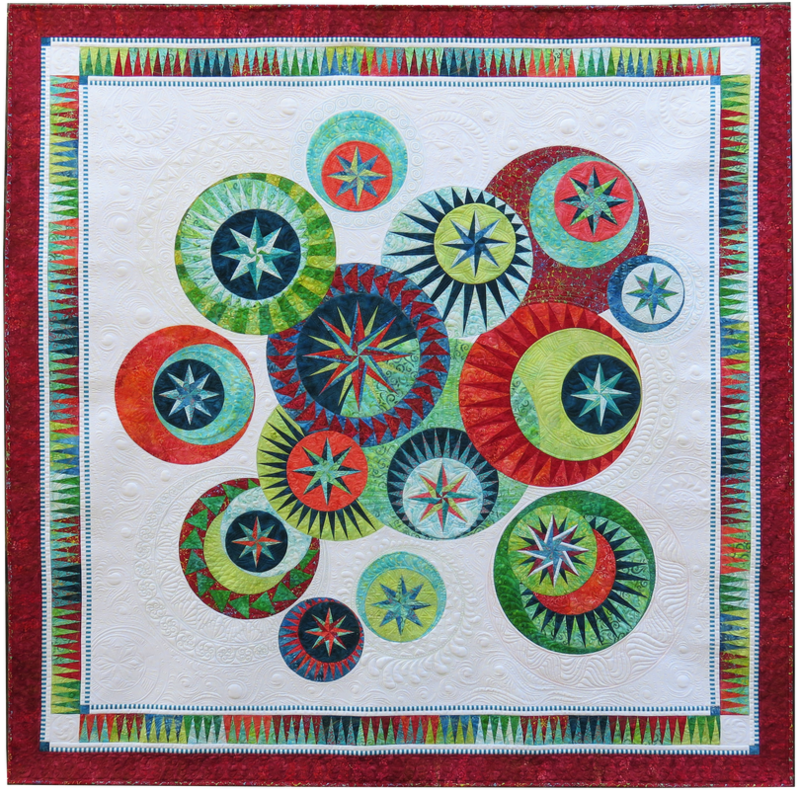 Cindy Glancy, a very talented long arm quilter, took care of the quilting which is absolutely gorgeous. All of Jacqueline's favorite colors combined in this gorgeous design. The lovely soft greens and the transparent blues making this beauty a symphony in elegance. The beautiful spiked pattern parts are breathtaking in their colors and the delightful translucent center will catch your eye in no time. 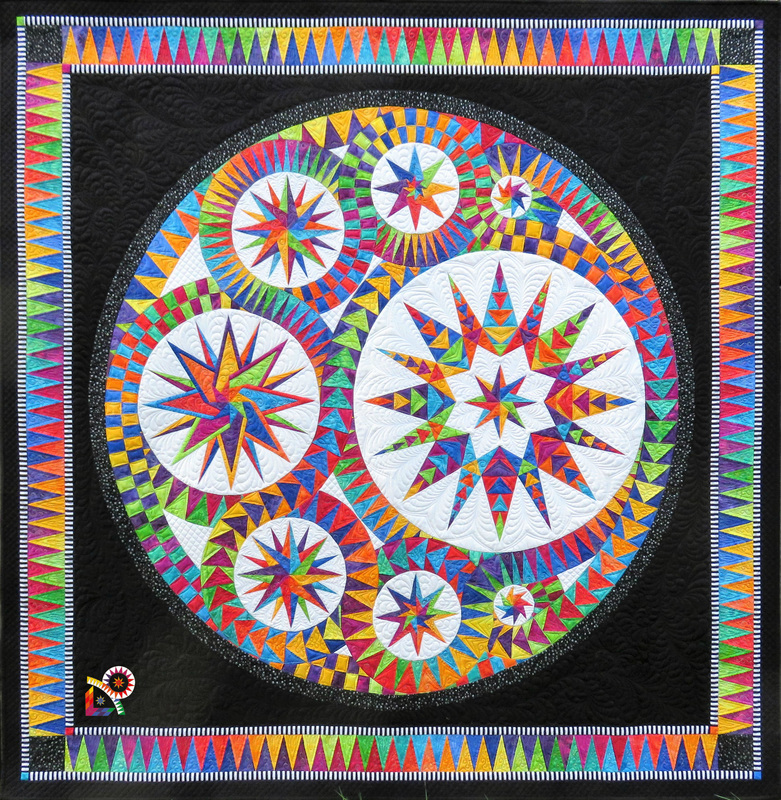 The design of this wonderful quilt is amazing. 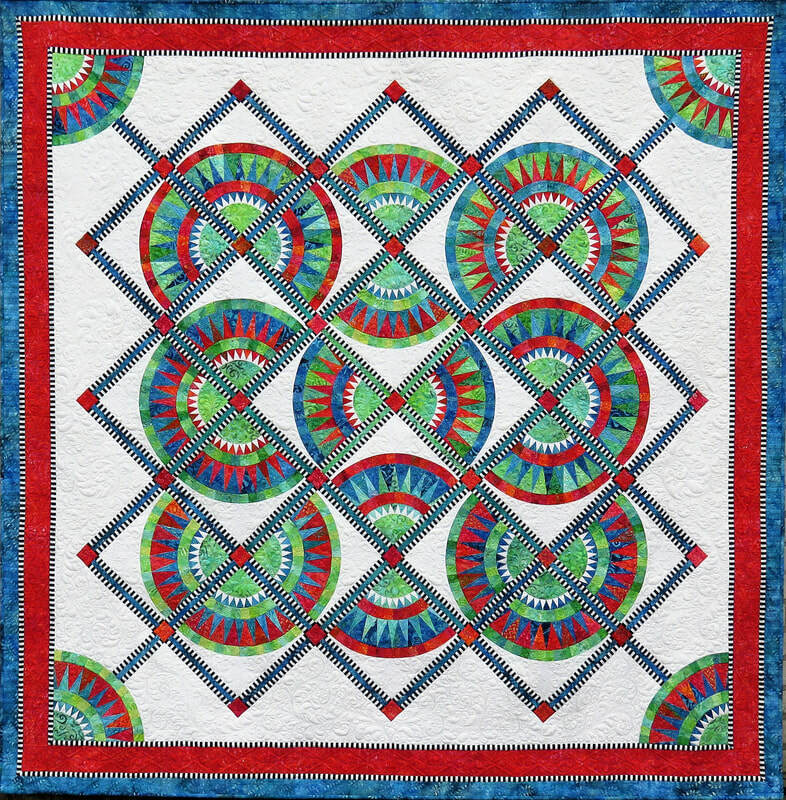 From the soft and elegant center to the outer parts of this quilt where the dark blue fabric completing the whole design. The outer borders are a delight in color from the sky colored blue and the spring green to the dark harmonic outer sashings. In this spectacular design, Jacqueline uses 3 of her new striped fabric collection: green, blue and teal which complemented the colors perfectly. 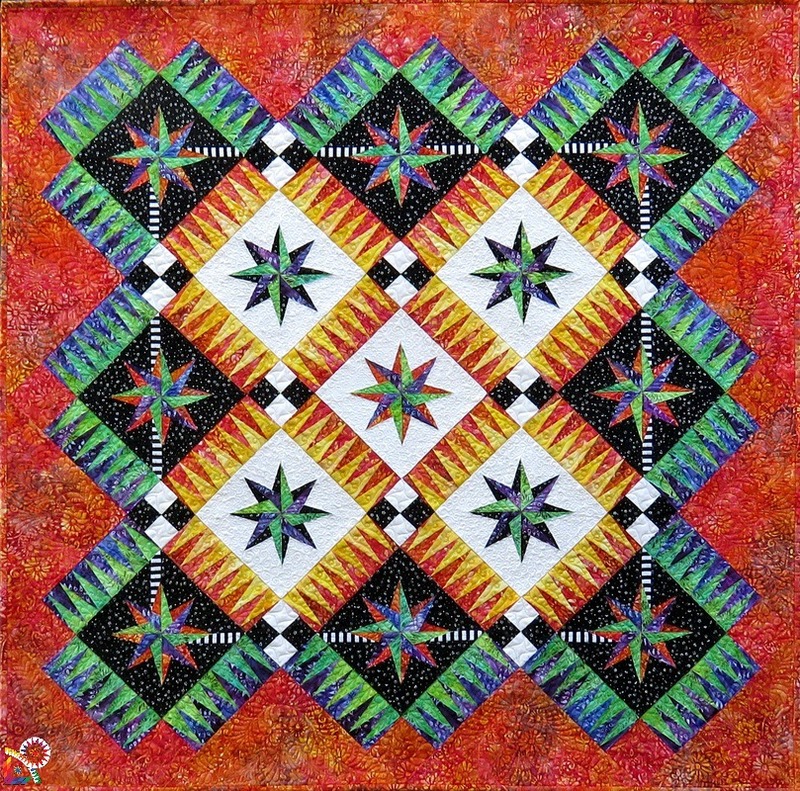 The beautiful quilt work is by the hand of Tammy Murphy of "Color me Quilted" in Canada. For the absolute beginner or for you, when you're in between projects: A gorgeous set of table runner and placemats. If you're new to paper piecing this will be the perfect start to begin with. Easy spikes, lots of repetition and you will have a beautiful result in no time. In the pattern you'll find both of the sets: Picnic, in the beautiful rainbow colors and Lemonade, a lovely set of placemats and table runner with a Summer feel. 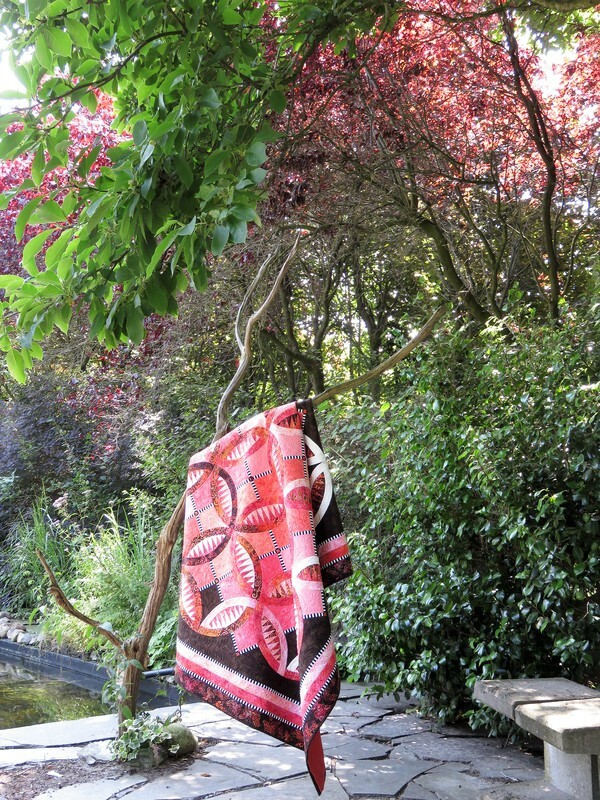 Made in the beautiful batiks of Jacqueline's own batik line by Anthology Fabrics. And with the new orange stripe as an eyecatcher. 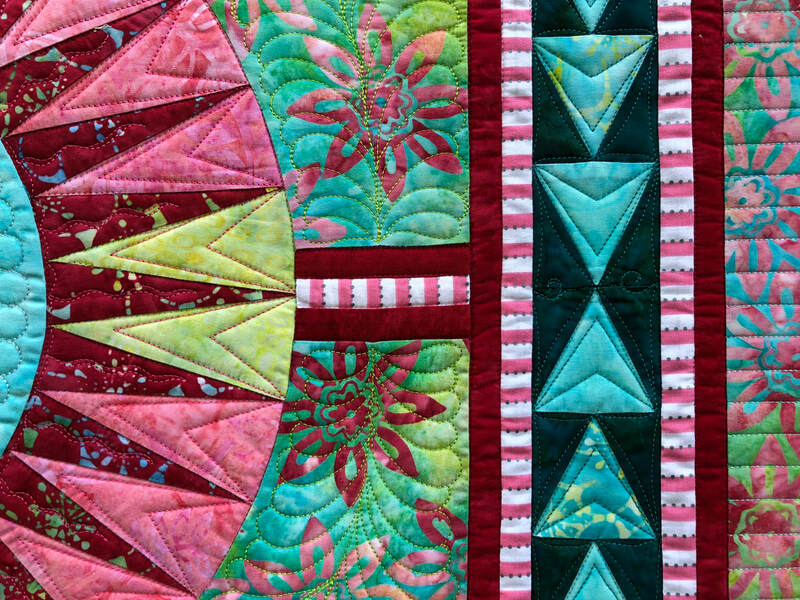 The gorgeous colors in this beautiful design are Jacqueline's favorites. The soft peachy shades and pinks are flowing into each other in a natural way. Jacqueline added some touches of brown to it and together they turn this traditional design into a breathtaking beauty. 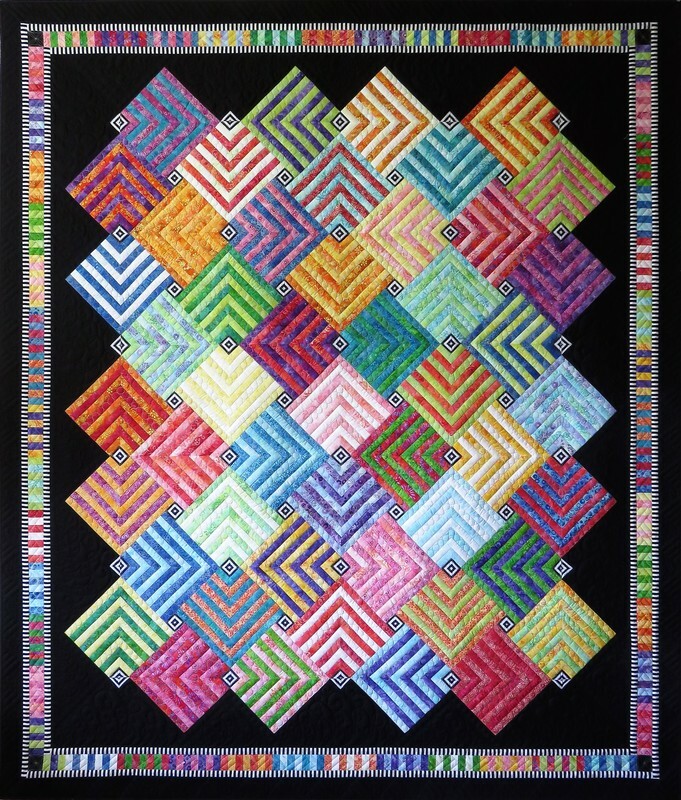 Years ago Jacqueline designed "Jewel", a gorgeous quilt in the beautiful rainbow colors. It was a successful design and that's why we decided to re-design this popular pattern. This is "Labyrinth", a brand new design. Not only as a new design for the 2017 collection, but also totally different than Jacqueline's other newbies. Another breathtaking design. Summer Breeze in the gorgeous pastels of Jacqueline's batik collection. You know she designs her own fabric, right? Curious for her collections? Go to the button 'Fabric Collections', and you will fall in love with them. Maybe you recognize the design. 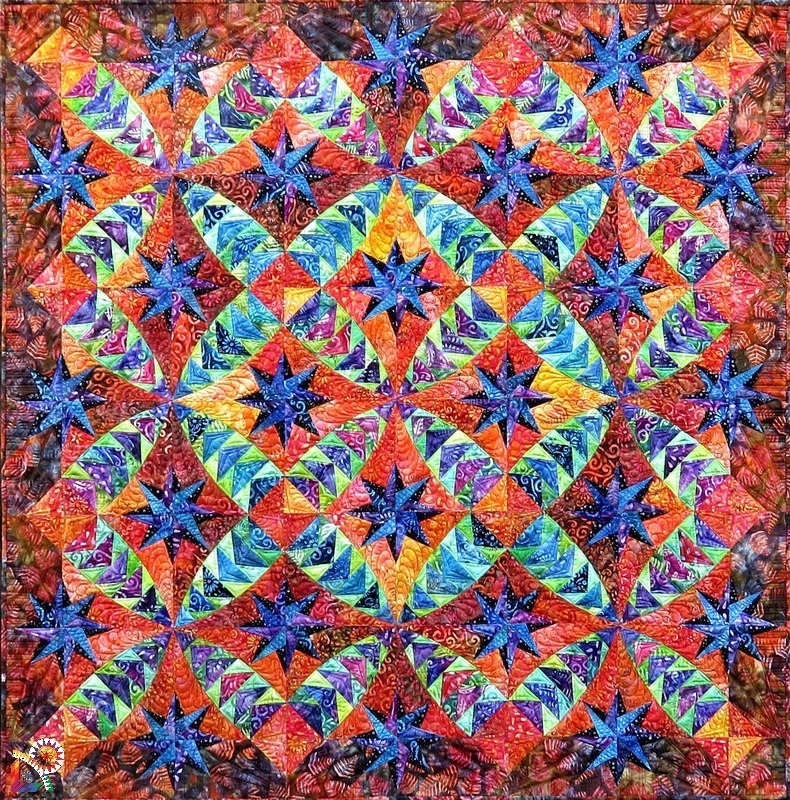 It was two years ago as "Making Memories" featured in the Spring issue of Quilters World. 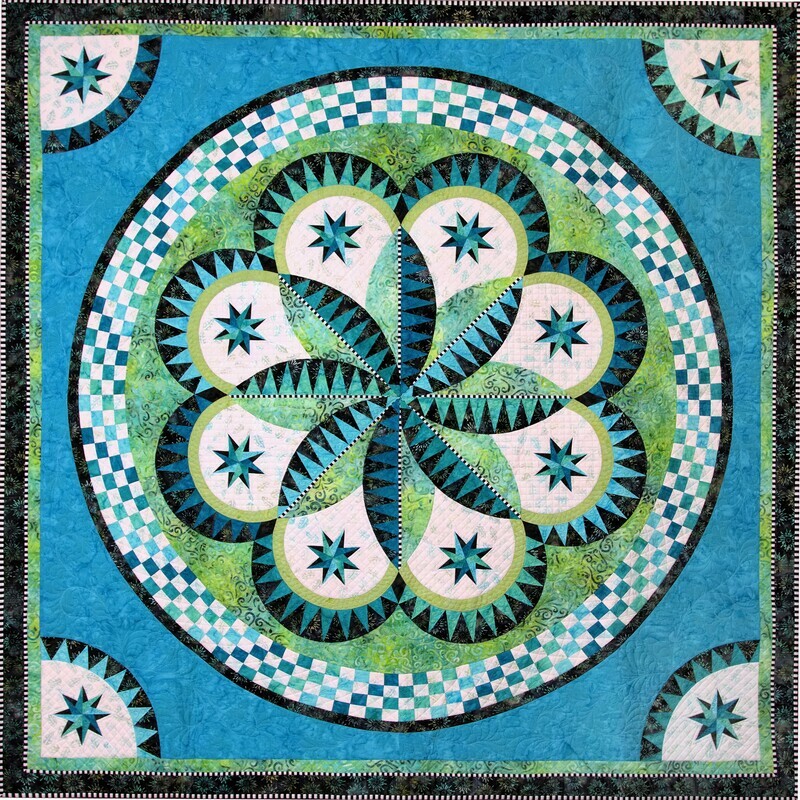 In 2013 Jacqueline won the first place pieced in the Hoffman Challenge with the stunning design "Celtic Fantasy"
And this year your wildest dream come true: "Infinity", a 7* or 8* design for the intermediate and experienced quilter. my dear friend Cheryl Harris took care of the binding of this beautiful design. A little update on pattern part C will follow soon. 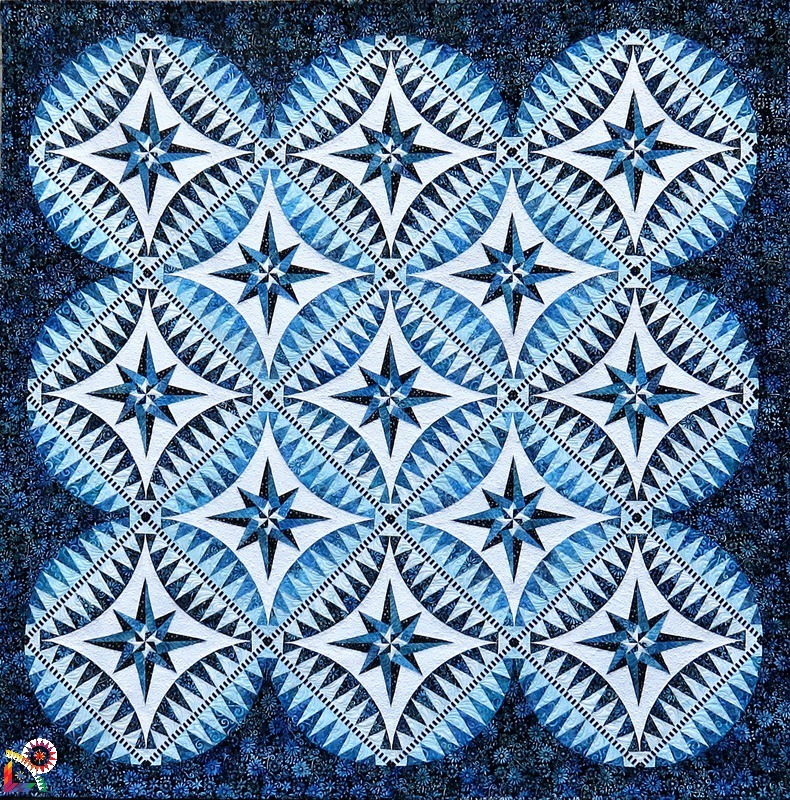 Years ago, in 2007, Jacqueline designed "Springtime", a lovely design in beautiful aquas and blues. 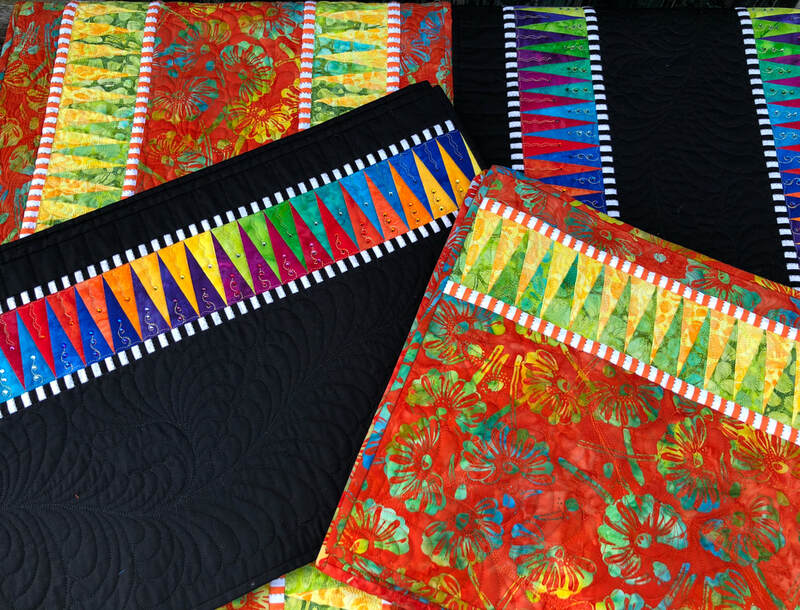 ​In contrast of the quilts and designs of the Rainbow collection, Jacqueline choose the warm and deep colors for a Fall collection. And "When Summer Ends.." is hopefully the first of many in these warm and fuzzy colors. The gorgeous fabrics used in this design are Anthology fabrics and a few of the Fall collection 2015 fabrics Jacqueline designed. ​Another new design for the 2016 collection. 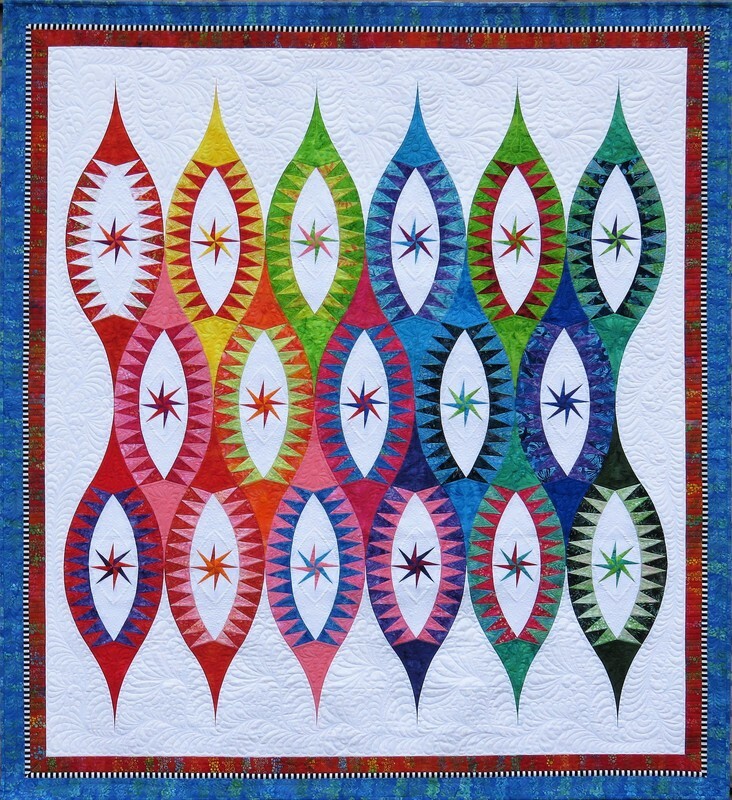 A fabulous quilt of Jacqueline in the bright and colorful Rainbow colors. 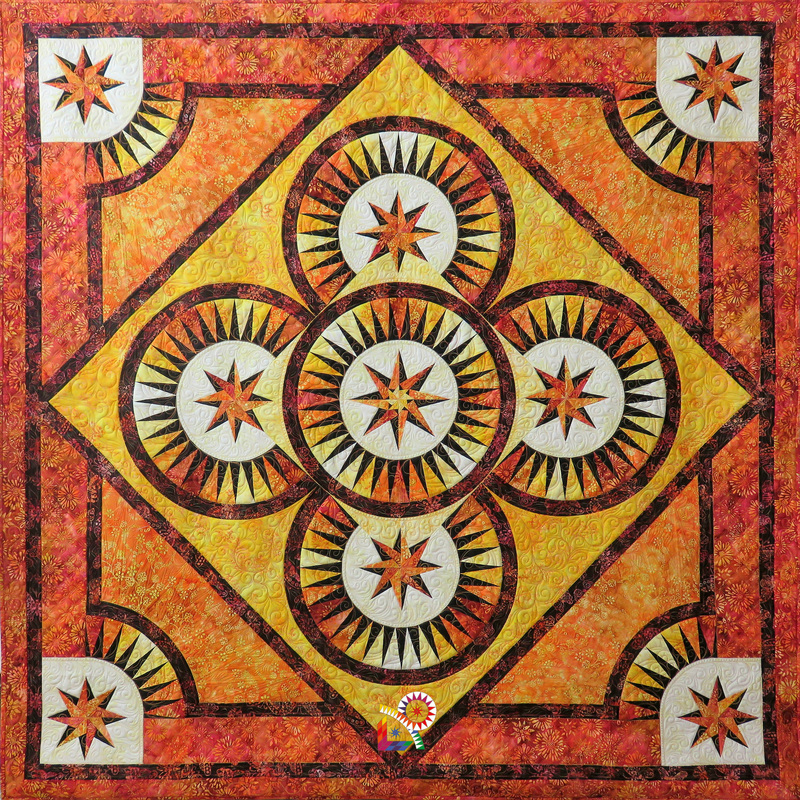 Inspired by Art Deco, this design is a stunning wall hanging and could easily enlarged to a bed quilt. Finally JJ decided to choose for the Rainbow colors. And not a bad choice! It's a beautiful 6* pattern. A challenge, but so worth the effort! 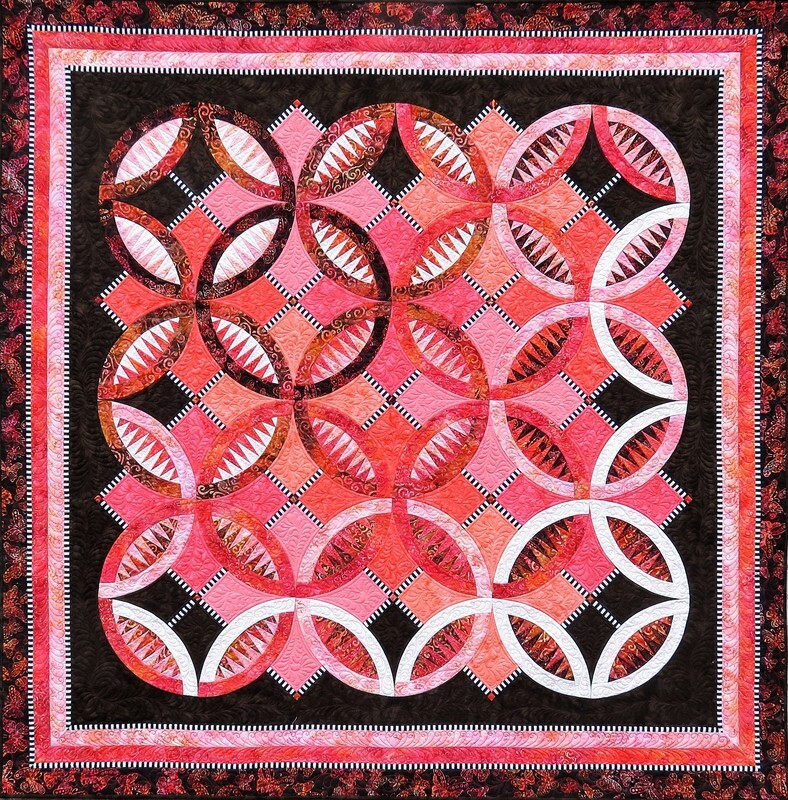 It was not easy to came up with a name for this gorgeous quilt. But 'La Vie est Belle' suits just fine for this beauty. 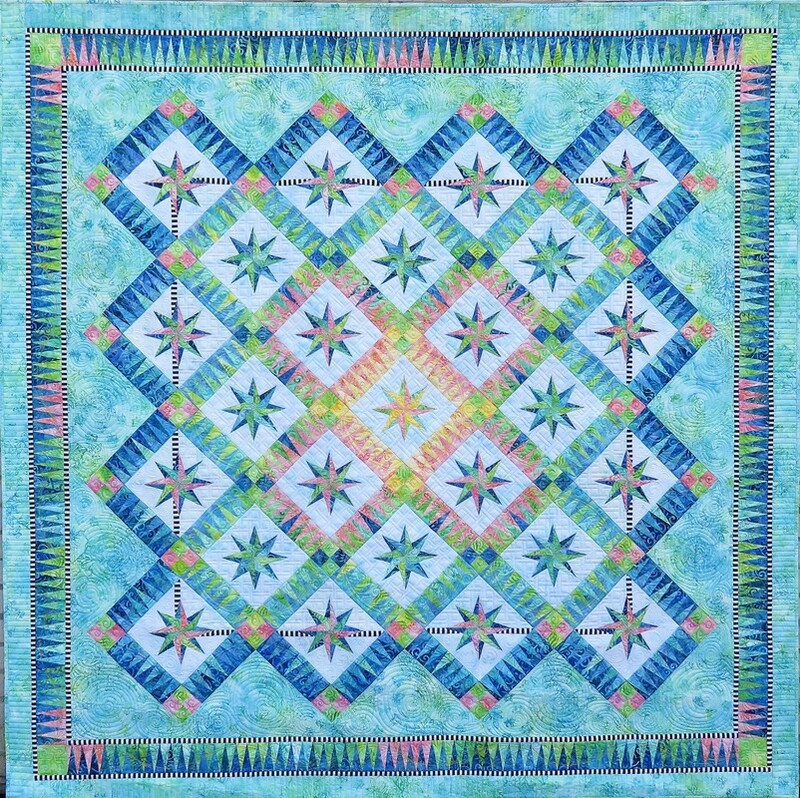 Jacqueline designed some lovely pastel batiks for the Spring collection and uses them in this beautiful romantic quilt. It's a sweet and girly quilt and easily to enlarge to a bed quilt or to any size you want. This lovely new design is made in the new Spring Collection fabrics by Jacqueline and Anthology Fabrics. 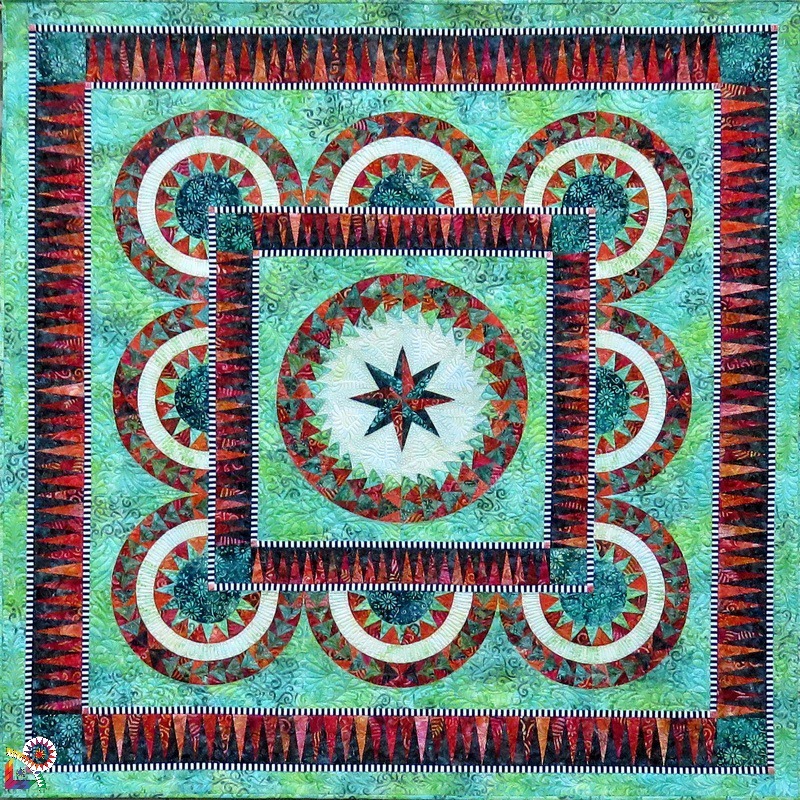 Tammy Murphy, Colourmequilted, did the amazingly beautiful quilt work. The colors of sunset and sundown, the colors of Summer days in the sun. 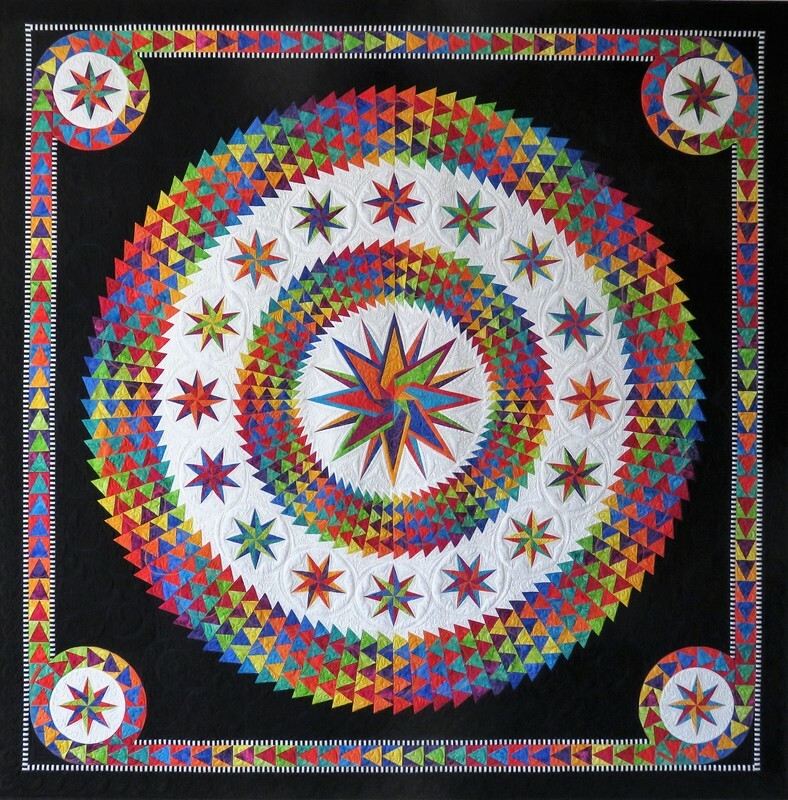 The beautiful quilt work is from Cindy Glancy. 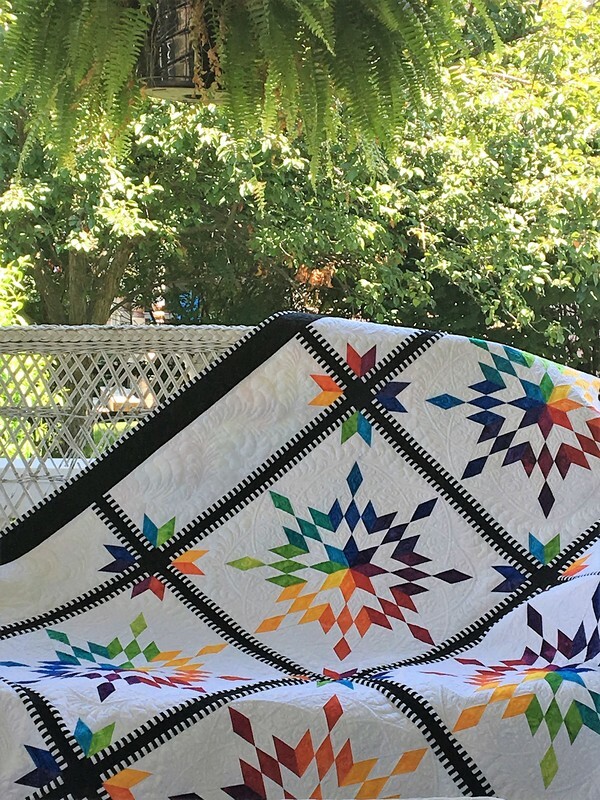 ​Indian Summer, a brand new design, and the first quilt Jacqueline made of the freshly new designed fabrics. And they're gorgeous. 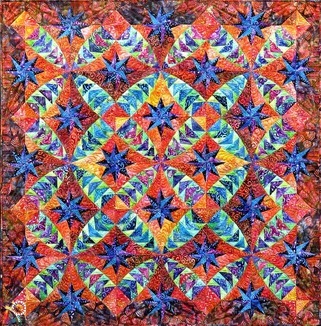 The colors in this quilt, 28 in total, are so bright and colorful. The lovely fabrics are from Jacqueline's first designed fabric collection by Anthology Fabrics. Together Jacqueline and Craftsy created an amazing online class which you can take where ever you are, whenever you want. So sign up now to take this opportunity to learn from the best! 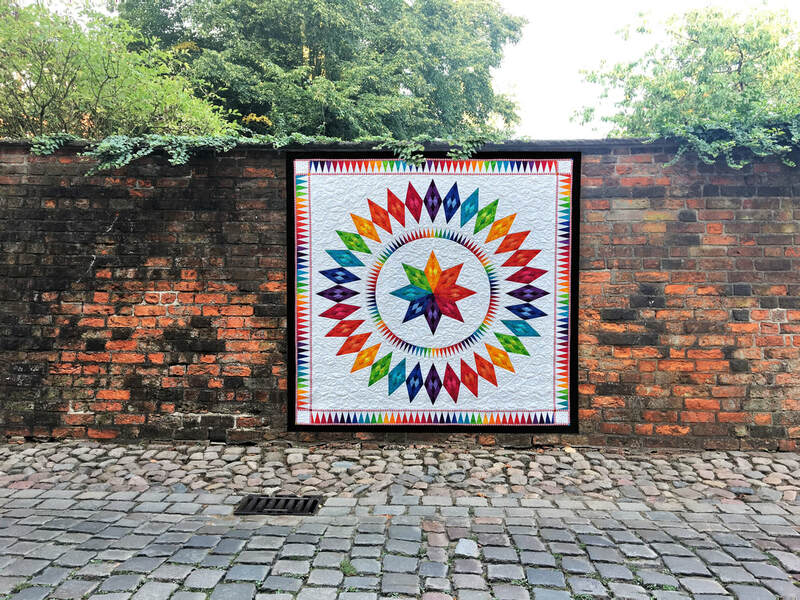 This gorgeous wall hanging is the only "Rainbow Quilt" for this season. But it's a lovely one. 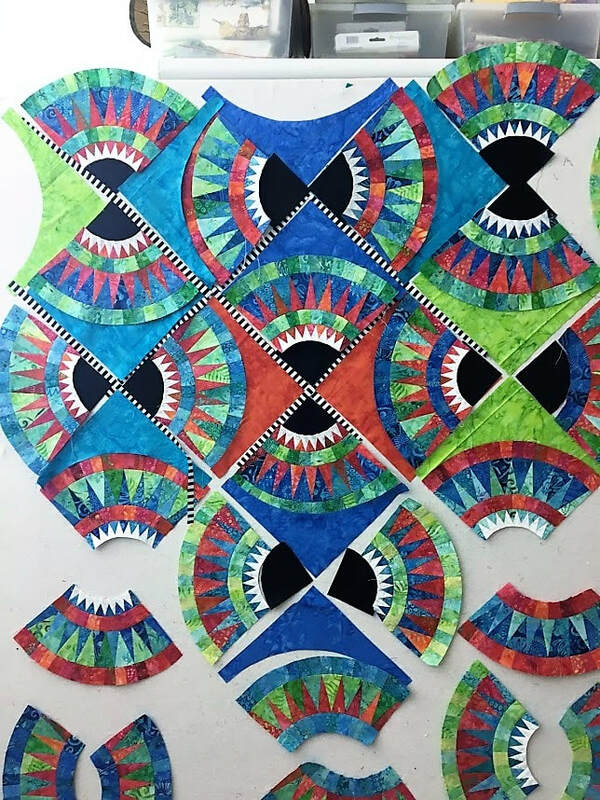 The stars, spikes, the flying geese border and the sashings in Jacqueline signature striped fabric, making this design into a wonderful and fabulous quilt. 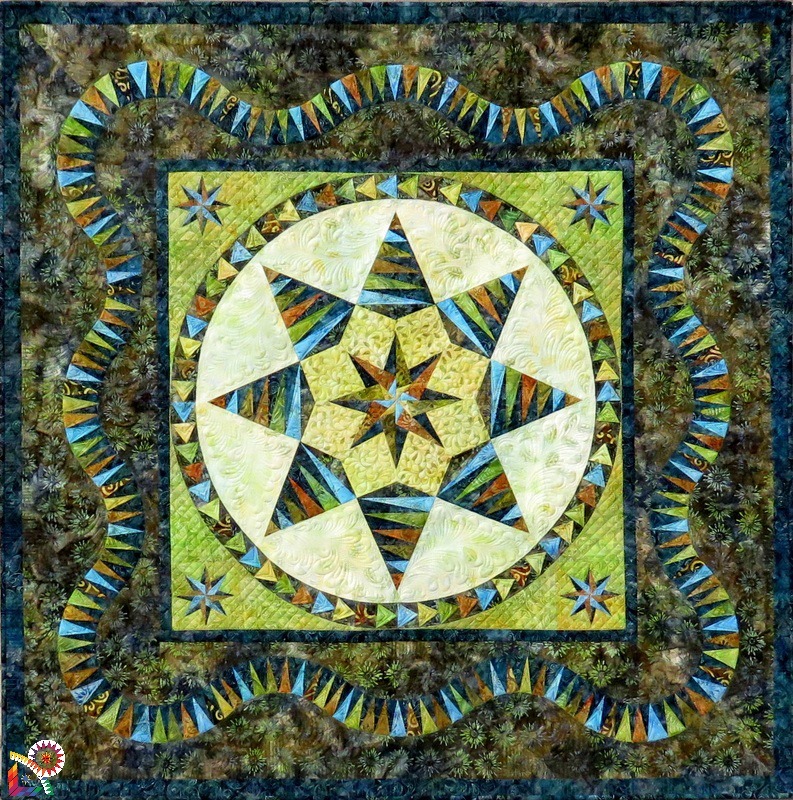 Level of difficulty: 2** | Finished size: 46.5"x 46.5" | Technique: Paper piecing | Digital copy of Quilters World: http://bit.ly/1ktft9O. This beautiful collection of patterns, is made with the gorgeous Anthology fabrics/Windham Fabrics.